Memoirs of a Madcap Musicmaker Madly Musicmaking and Making Mad Music (Est. 2004): Zak Attack! 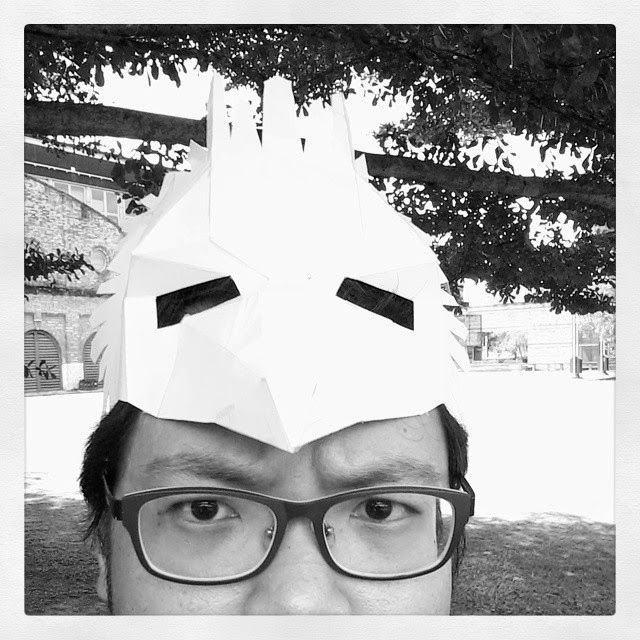 Ronald the Rhino, who didn't make it into our Malaysian version of the show. A recent write-up on the show. Don't you love them poses?! My article detailing the journey and history of Zak, as featured in 'Living Arts' magazine. As part of my Mass Communication and English undergraduate degrees, I enrolled in a Children’s Theatre unit during the course of my studies at Murdoch University in Perth, Western Australia. 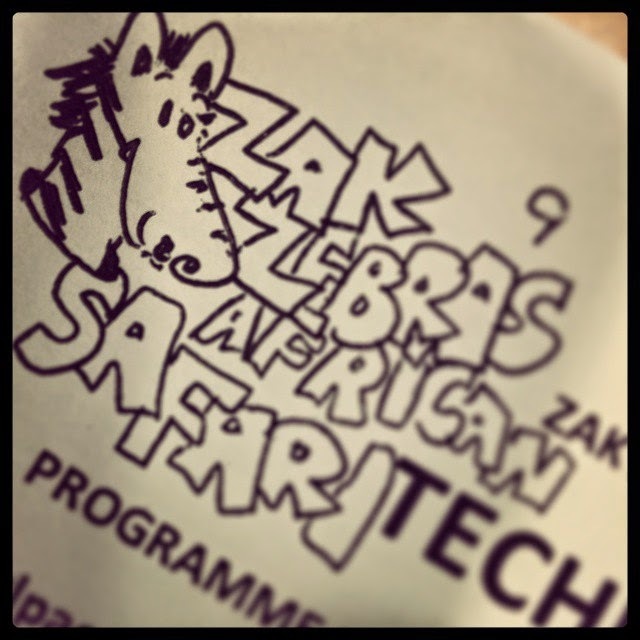 It was 2003 and the show was called Zak Zebra’s African Safari, written and directed by one Dr Jenny de Reuck. The script was about a group of animals in Africa who have to band together, led by the titular Zak, when they learn that a devious big game hunter and his sidekick are on the prowl. The bad guys are in search of the ancient and revered crocodile, Komati, whose tears are a source of great power. At the same time, some sneaky hyena are lurking, posing another threat to the good creatures of the Savannah. What fun! Straight away I was enamoured with the process, as Zak Zebra involved characters both human and non-human; bright and colourful costumes, makeup and backdrops; and a fun story that nevertheless had enough gravitas to allow for educational performance. It told of the importance of uniting in times of difficulty, and also spoke, subtly, about the plight of wildlife and the cruel roles of humans in endangering species around the world. As is the case every year with Children’s Theatre at Murdoch, the students got to nominate the area of work they wanted to focus on. The majority of them would opt to act. Some would choose backstage work such as set design and construction, while others would take on production roles such as stage management. 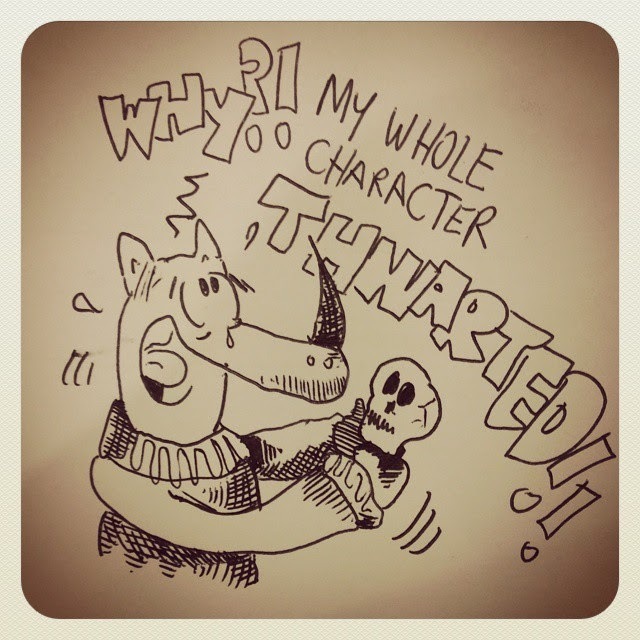 The actors had to create anthropomorphised animal characters across the approximate 14 weeks of semester, during which workshops were conducted just once a week until the intensive week of rehearsals prior to the performance stretch. It was a lot of fun watching the actors stretch their skills to incorporate animal-esque characteristics — funny walks, strange voices and the like. Meanwhile, from costume design to publicity, everything had to be handled by the students in their respective departments, guided by Jenny and other Murdoch theatre staff. That year, I, alongside several others, decided to form the band. Our role was to provide one of the most important elements — the musical landscape — which would complement the action and characters onstage through underscoring as well as song and dance. As a budding composer then, it was a style of music that was new to me. The music had to be playful, fun, cartoony, memorable; the songs had to be quirky, concise and charming. I discovered, over the course of workshops and performances, that music is vital in any show for children. It keeps the young audience more focused on the goings-on — likely because they associate the characters with their theme music. The underscoring drives the action (as well as the performers!). And what young person doesn’t like songs?! Zak Zebra would prove to be the starting point of a series of collaborations with Jenny that has spanned over a decade. From that inaugural production in 2003 until today, we have worked on close to 10 children’s theatre productions, with me serving as composer and, oftentimes, musical director and performer. Performing for children is a very different experience from that for adults. There is the boundless energy that the young ones feed to the performers – and with it comes the unpredictability. As children’s theatre tends to be interactive, there could be a need for the actors to ‘control’ the crowd if, for instance, the children start laughing uncontrollably, or booing characters they don’t like, or shouting out raucously in response to questions or onstage action. Sometimes, children might have been told by their parents or teachers to behave—leading to no reaction from them at all! Then there is the challenge of maintaining focus as a performer while a child is in tears in the front row out of fear of the villains... Such an enriching experience indeed! I graduated in 2006 and returned to Malaysia but continued to contribute to the Murdoch shows in subsequent years, regularly flying back in to Perth to conduct musical workshops and guide the students through each production. In fact, Zak Zebra was restaged at Murdoch in as recently as 2013. 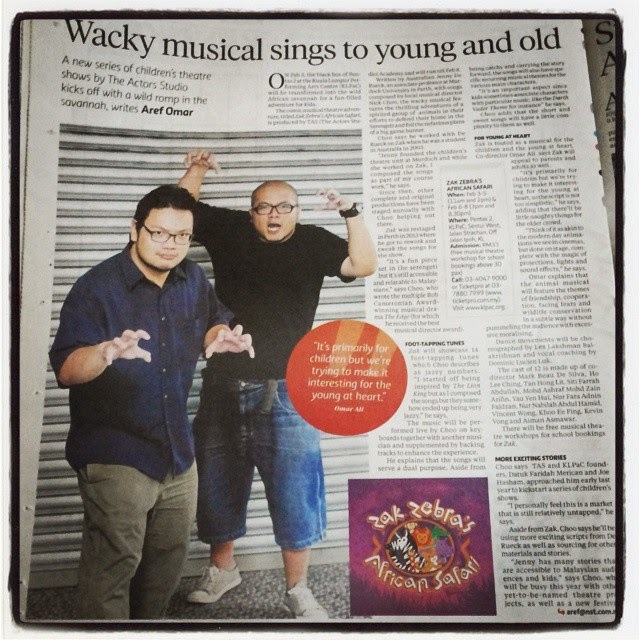 So it was very serendipitous when Joe and Faridah spoke to me in early 2014 about launching a series of new children’s musicals at the Kuala Lumpur Performing Arts Centre. 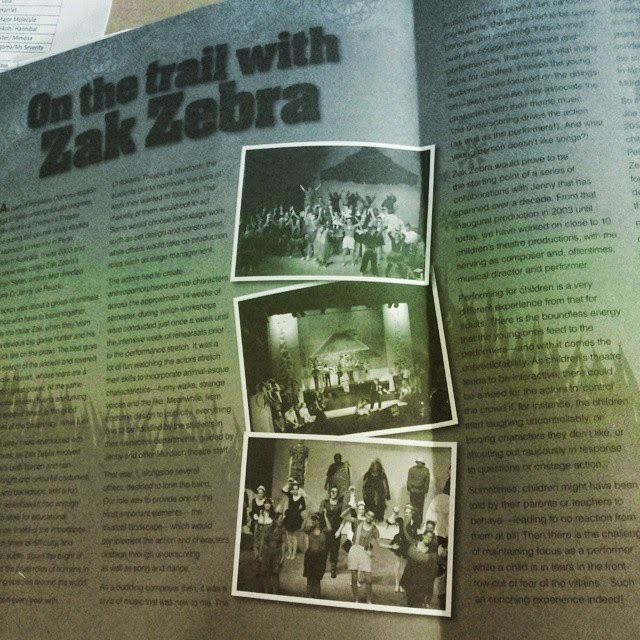 Given that Zak Zebra was my first venture into theatre for young people, it was easy for me to decide on just the production to kick off the series… albeit with some changes. Firstly, we’ve reduced the number of characters in our version, given that Jenny’s scripts take into account the number of enrolled student at university. 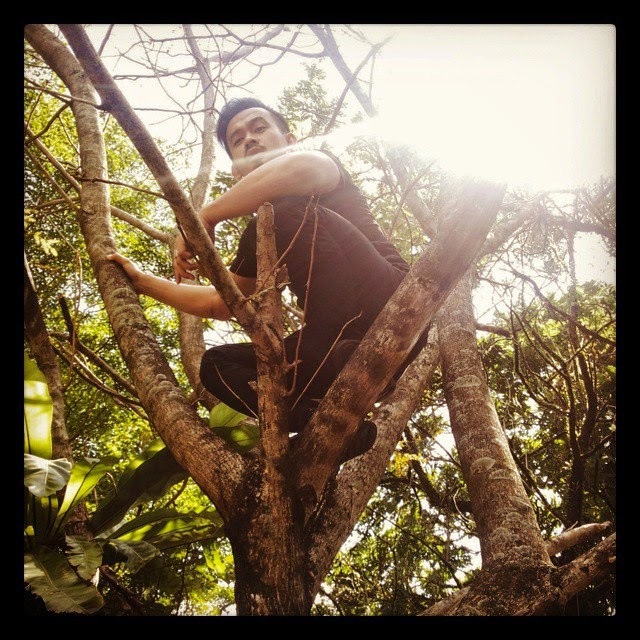 Secondly, while the show is still set in Africa, some tweaks have been made to link it to Malaysia without changing the fundamental aspects of the script. How have we done this? Ah, you’ll just have to wait and see! And so I’ve been able to see history repeat itself, in a sense, as our team of local performers have come together to put on this show, under the direction of Omar Ali and Mark Beau de Silva of The Actors Studio Academy @ KLPAC. 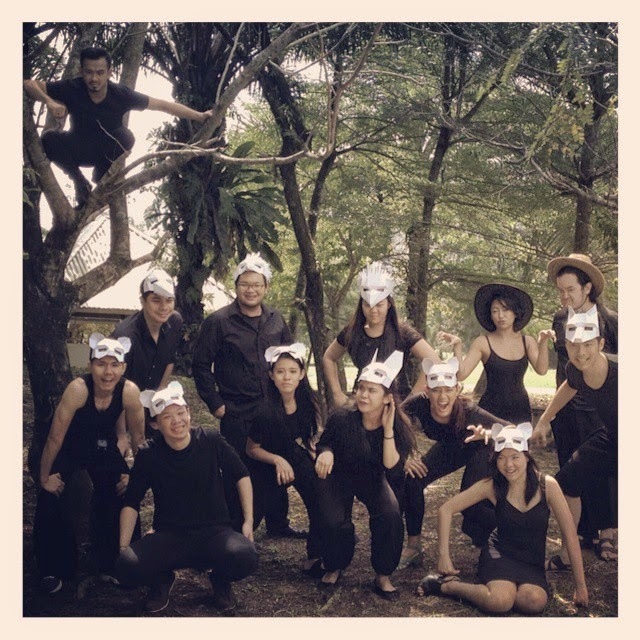 Once again I have the joy of seeing actors stretching their skills in movement, acting, singing and overall stagecraft, enthusiastically taking on these over-the-top animal and human characters and working diligently to ensure that we have a show for Malaysian audiences of all ages. Indeed, it’s a privilege to both be able to entertain children as well as provide a platform for performers of various skill levels to try their hand at theatre for young people. And this is only the beginning! More children’s theatre productions at KLPAC are in the pipeline, and my work with Jenny over the years ensures me a valuable resource to draw on for future productions, even as I continue to scout for material and ideas from other sources. We hope to produce a minimum of two shows a year, with myself serving as primary composer for these works, and I could not be more grateful to Joe, Faridah and the team at KLPAC for their support and generosity. 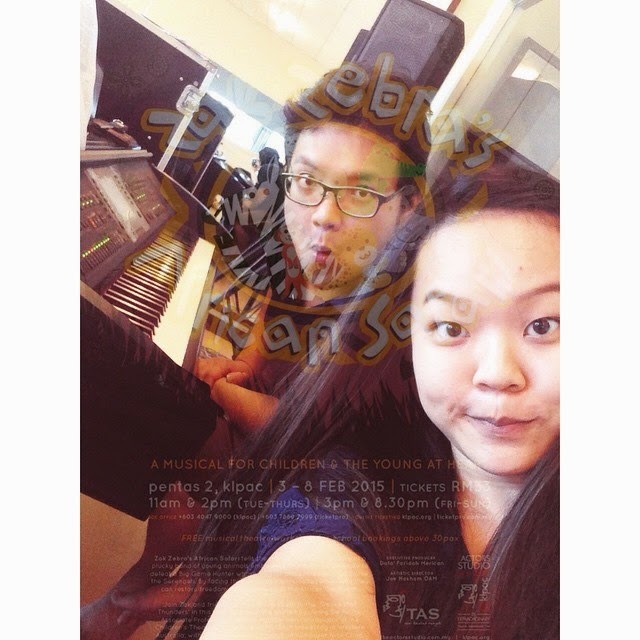 So come February, join us as we traverse the vast landscape of the African Savannah… right here in Pentas 2! See you all then!